Rated 5 out of 5 by 203 reviewers. Perfect for my large Boxer! Focas Adult large breed was perfect for our dog! 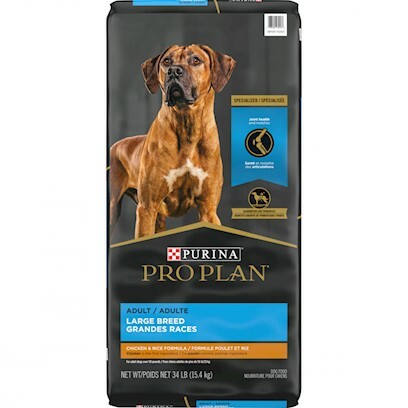 95 pound Goldendoodle thrives on proplan! Eats it all and cleans the bowl ! Princess Cody dances for her dinner! I"m not sure how long my wife has been buying. This is a great food! Food that my dogs won't play with. Healthy dogs live a long time.